Casa del Monte, Santa Catalina Island is a magnificent home located on the hillside overlooking the entire city of Avalon and Avalon Canyon. It is a Spanish Colonial home designed with 17 rooms, including a reception hall, breakfast room, dining room, theatre, solarium, reading room, and seven bathrooms. 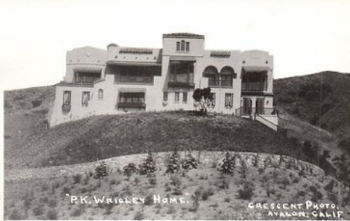 Wrigley purchased the home in 1927, and in 2004 his descendants made extensive renovations, including the addition of a pool. This page was last edited on 14 September 2015, at 08:55.